Separate Dimension is an arcade shooter that offers more than what the screenshots seem to potray. The new mouse controls work flawlessly, signalling that the more conventional method of flying a ship using the keyboard is outdated and could possibly be improved. An option to translate all text to English is included in the options menu, something that Japanese programmers should perhaps aspire for. You can resume playing from any of the missions previously attempted. Hold the left mouse button to shoot, right click to activate your thrusters and scroll up or down to swap weapons. Tap the middle mouse button to bring up a pause window. 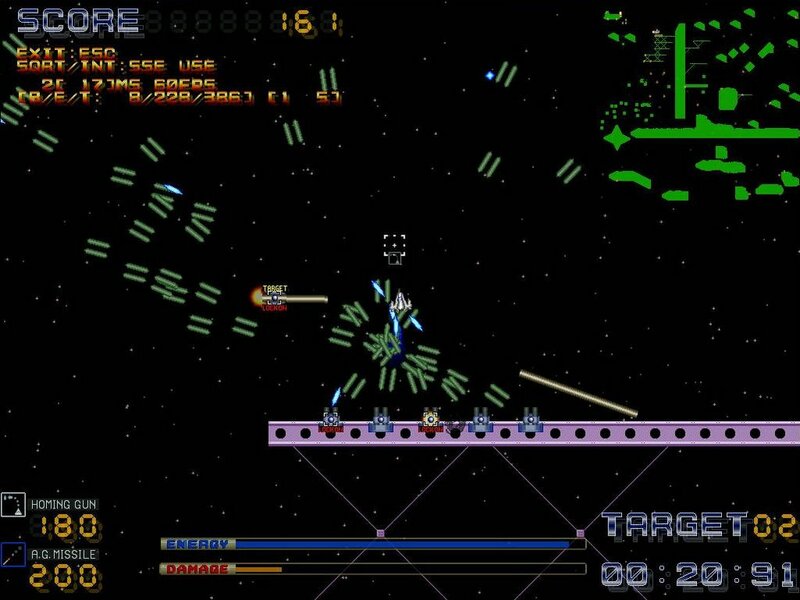 Targets are marked clearly with a handy radar shown at the top right of the screen. Recommended for all Thrust fans. The 20MB download is on the same page, though it could be a little difficult to distinguish from all the other columns in the table. Instructions on navigating the Vector site can be found in the FAQ.